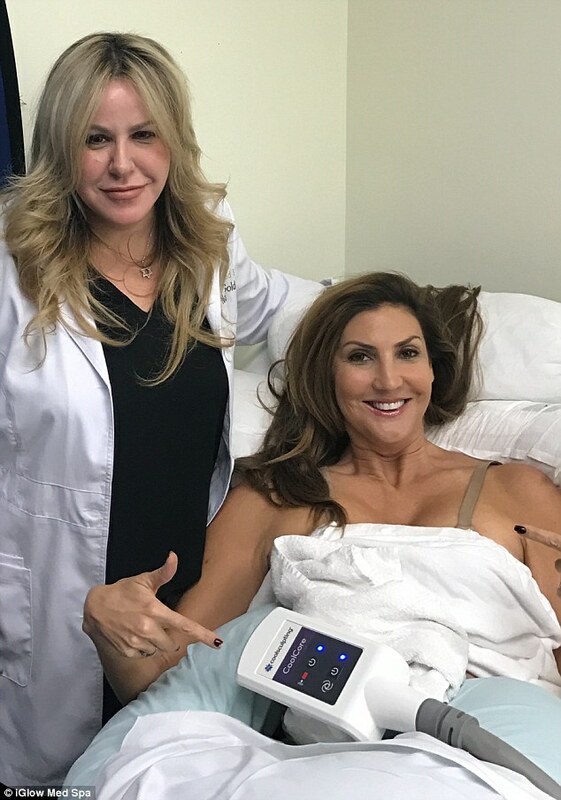 The 46-year-old star revealed her initial results on Tuesday after undergoing CoolSculpting in Beverly Hills, California. CoolScultping works via a process called Cryolipolysis where the fat cells are frozen causing them to break down. Nurse Nataly insists only fat cells are target and then the body gets rid of the broken cells like it does with other wastes. Long lasting: Nurse Nataly insists only fat cells are target and then the body gets rid of the broken cells like it does with other wastes. Heather will lose up to 25 per cent of fat in each treated area – and the results are permanent.